Have we reached the bottom? 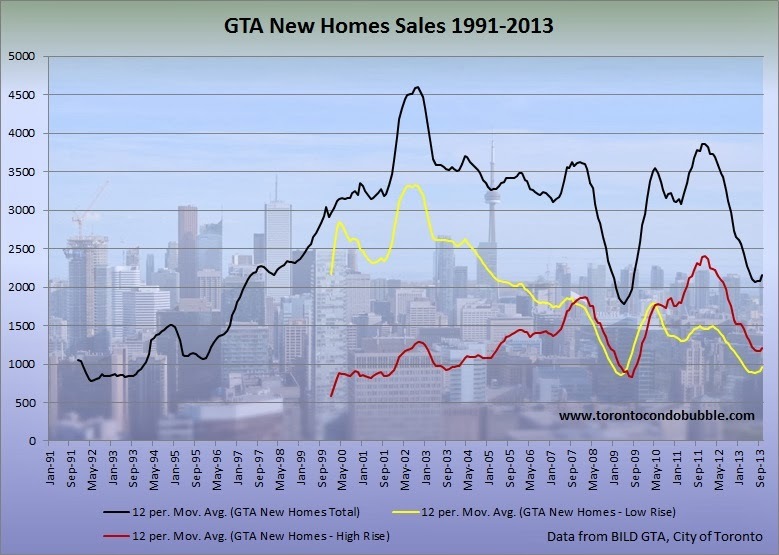 New home sales in the Greater Toronto Area went up by 17% compared to a year earlier. For the past three months sales have been increasing and now we can even see a bump up on a 12 month moving average graph. But wait! Pre-construction condos in Toronto are still in free fall! New condo sales in the City of Toronto fell by 14% from a year ago! The reason that new condo sales in the GTA went up is because new high rise sales went up in Halton Region from 35 a year ago to 374 in October 2013. Similarly sales rebounded in York Region from 215 in October 2012 to 516 in October 2013. It is possible that because of the abnormally high sales volume in Halton region that the overall picture was inflated? 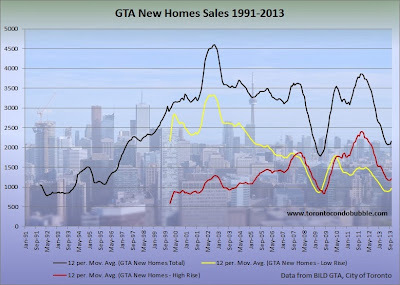 Perhaps then new condo sales in the GTA have yet to reach the bottom. Time will tell. Year to date, new home sales were down 19% compared to 2012. While October was a strong sales month, the year-to-date figures are still the lowest total in 10 years. YTD sales were 26% below the 10 year average. New condo prices in Toronto were down 1.5% to $432,825 in October compared to a year ago. 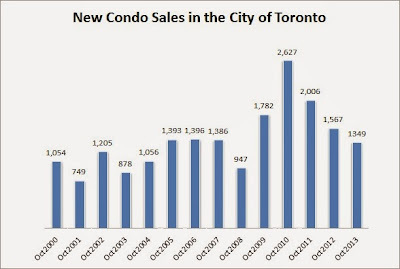 New condo prices peaked in June 2011 at $461,692. So far prices were down 6% from the peak. Adjusted for inflation, prices were down 8%. Some say that Toronto is running out of land and that the only way to build new homes in the city is to build up. If that were the case then one would expect detached homes to appreciate faster than condos. Additionally it is logical to expect condo values to decline or at least plateau at some point as new supply becomes available. Looking at the chart above, it is evident that both low rise and high rise prices were rising in tandem until late 2011. Then low price accelerated their appreciation rate while condo prices stagnated and even declined a bit. Now did the condo prices level because "the running out of land" scenario took place or because the demand for new condos had fallen off the cliff?  Or is it a mixture of both? 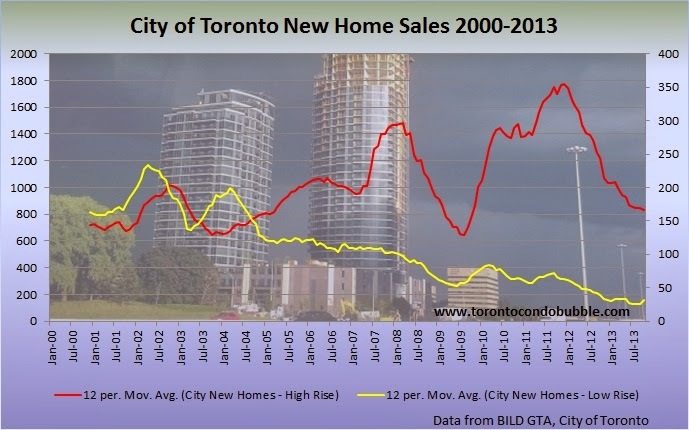 If you look at the graph below you can see that resale condos and SFH prices are rising at nearly the same rate. In fact, for the majority of the time condos were rising in value at a faster rate than detached homes.